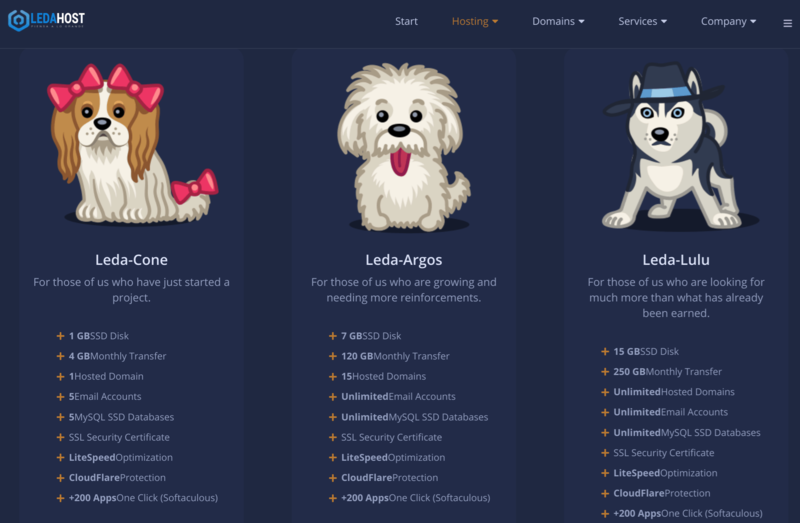 LedaHost Review 2019: Is LedaHost a Good Hosting? LedaHost is one of the leading web hosting platforms to come out of Argentina, and since 2013 has established itself as a go-to service provider for webmasters across the globe. LedaHost was launched in 2013. With over 2,000 hosted sites, more than 120 registered domains, and 500+ customers, this provider prides itself on delivering top-notch services. The LedaHost website is in Spanish. Server uptime is critical for emerging and established corporations, and LedaHost has proven that it can guarantee 100% server uptime. With data centers around the world, you as a prospective customer can be assured of global coverage. With its sleek interface and navigation, beginners will feel instantly at home compared to some of the not-so-beginner-friendly hosting providers. And with its one-click installation feature, you can install scripts for WordPress, Joomla, Magento, Mambo, Drupal and many other software products. This platform also provides DDoS protection and 24/7 monitoring to ensure your data is well-secured. Firewall configuration, anti-spam, access to VPN, and SSL certificates combine for a complete security solution. After a careful examination of their various services, I can say that the prices for each package are a tad high, but new customers get a discount for the first month. And if you’re not entirely happy with the hosting service within the first month, you can get a refund courtesy of the 30-day warranty. It is also interesting to note that LedaHost will migrate your existing website to its platform for free. The default payment currency is U.S. dollars, but you can select an alternative currency and make payment via PayPal, MoneyGram, Visa, Mastercard, and even Bitcoin. Within Argentina, you can also pay by bank transfer. Your domain will be activated within hours of your payment being received. When it comes to customer service, LedaHost is staffed by seasoned professionals who will support you 24/7/365. The LedaHost website contains a customer area (where you can log in) and a set of self-help FAQs. LedaHost is a leading Argentinian hosting provider for beginners and experienced webmasters alike. You’re in good hands with this host’s 100% uptime guarantee and its other innovative features. Wondering how LedaHost stacks up against other Web Hosting companies? Enter any other Web Hosting company and we will give you a side-by-side comparison.